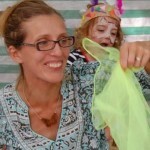 Amy runs music and creative play classes for babies and toddlers. Her fun-filled sessions of music, movement and play, with acoustic instruments, puppets, interactive games and lots of singing. Honker Tonker sessions are designed to provide little ones with a safe, fun and inspiring environment for their first explorations into music and the power of the imagination. Amy chose coaching to help her get clarity on which of my many and varied work ‘hats’ to wear and to work out how to move her business forward. 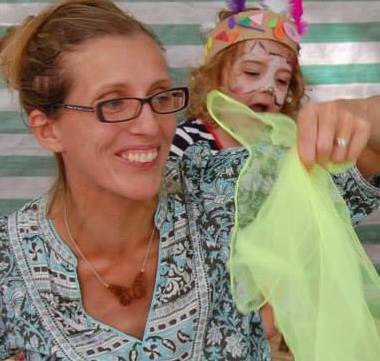 Since doing the coaching Amy has expanded Honker Tonkers into Faversham and has launched two new classes on a Thursday at the Subud Hall and has had great take up! “Coaching has had a big impact on helping me to decide the shape of my future. You helped me to decide whether to concentrate on my theatre company or to expand Honker Tonkers, and I have been focusing on the latter ever since. “I needed to gain clarity about what I was doing and what I was aiming to achieve, and you helped to sift through all my different projects and see which one was worth focusing on. “I think you understood my needs very well from the start, and you were careful to move forwards at my pace. I think I was confused to begin with, and sometimes quite emotional, and you handled this with tact and care. “You encouraged me to write a business plan, which has made me think much more clearly about the future and you gave me lots of tips about a) how to be business minded, b) what courses I might choose to go on in the future to develop my skills. “I achieved my initial goals and sorted out how to move forwards with my working life. This is exactly what I hoped for. Going through the business plan section by section was particularly helpful. The action plan was very useful as I am a real list writer and it helped me to really see what I had to do over the subsequent months.